On 6th Feb the popular Marathi TV news channel IBN-Lokmat interviewed me at Dombivli. 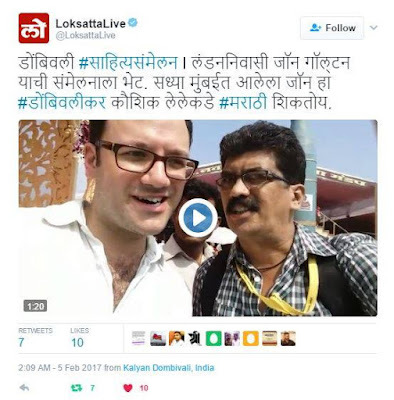 I was accompanied by Jon - a British PhD student - who has successfully learned Marathi using my blog. The interview was aired same day. Before that on 5th Feb the popular Marathi newspaper "Lokmat" had published an article about movements for betterment of Marathi language. 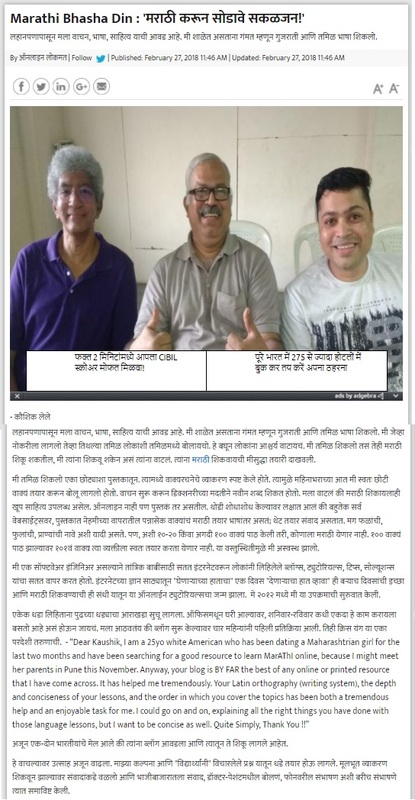 My blog & I were mentioned specially.See the highlighted part of below news. 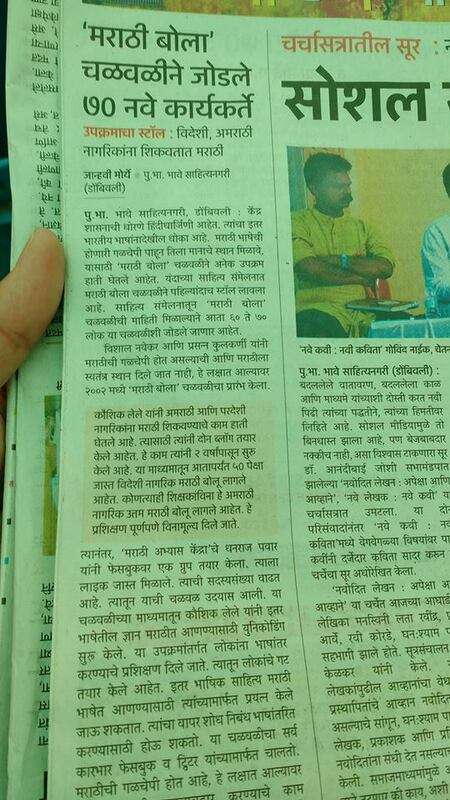 On 7th Feb the official Twitter handle of prestigious Marathi news paper "Loksatta" twitted as follows. 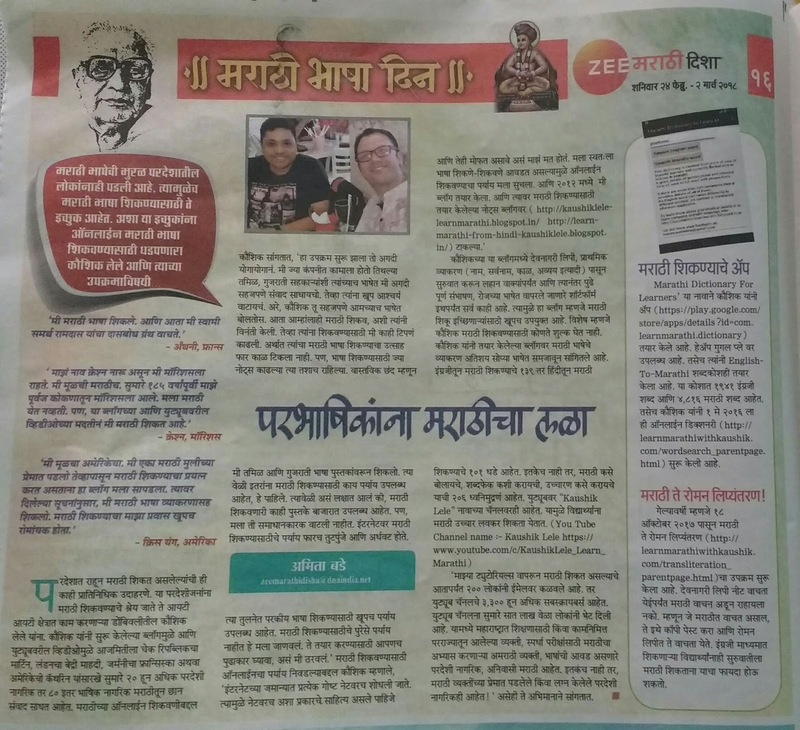 On same day 7th Feb the prestigious Marathi newspaper "Sakal" published an article about Jon, his Marathi learning through my blog. 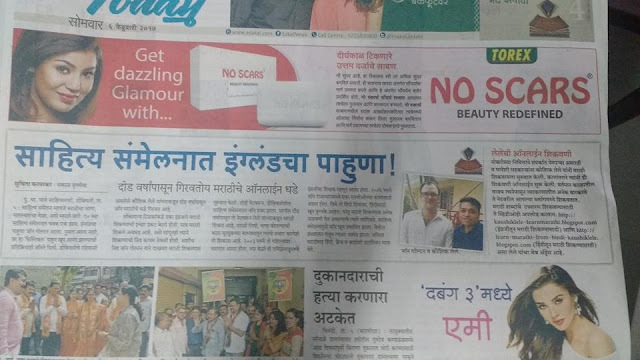 15th Feb edition of popular Marathi weekly also published news. 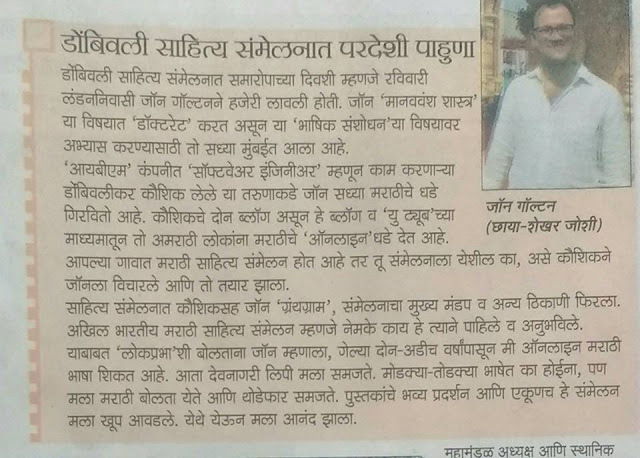 It talked about my background, interaction with Jon - a British PhD student - who has successfully learned Marathi using my blog. It also gave details about Jon's PhD in anthropology and interest in language learning. 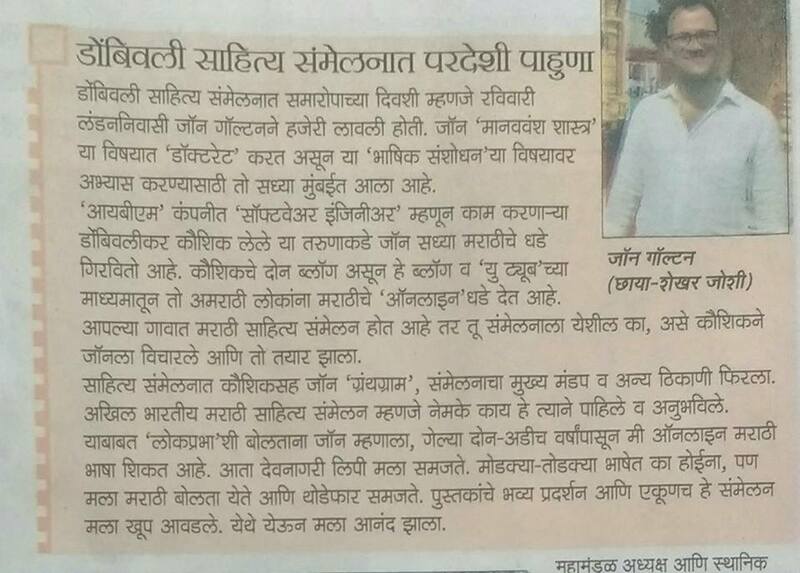 On 5th June 2017 the Marathi news paper "Divya Marathi" published article about my Marathi and Gujarati learning activities as follows.